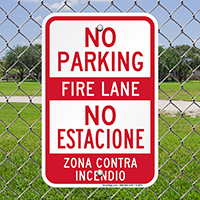 In the event of an emergency, keep your fire lanes clear with this red and white aluminum bilingual No Parking sign. 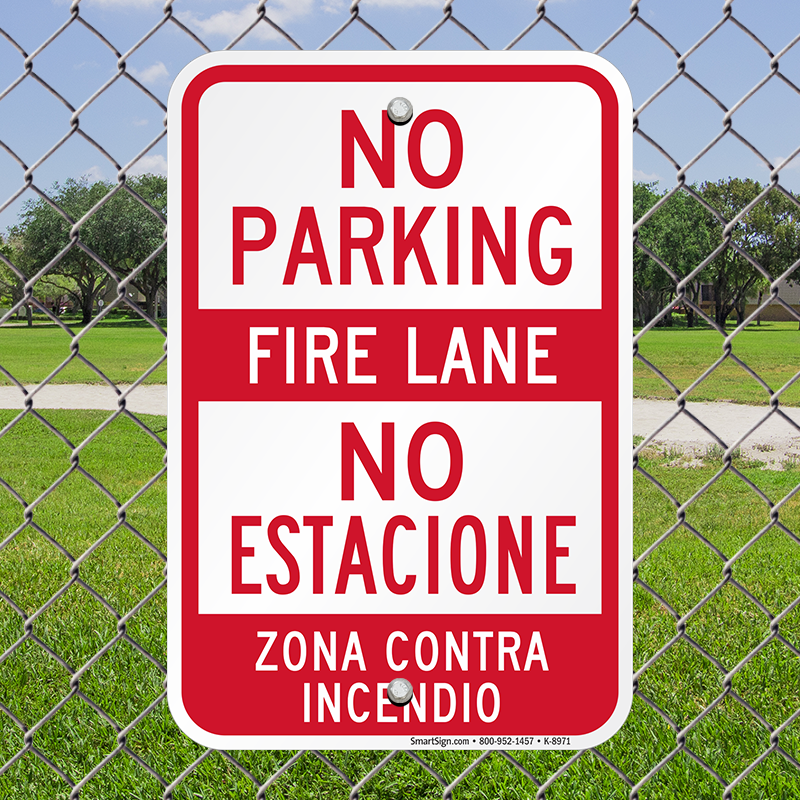 • Signs are written in both English and Spanish. • Signs are made with durable and rigid aluminum. • Signs have predrilled holes for easy installation to a post, fence, or wall.